I can’t wait. I love getting out of the city and going ‘home’ as I still think of it, and it’s even more special now as we have our own daughter in tow. She is almost 2 and thinks that my parents’ place – with all the plants and animals that go with it – is just about the best place ever! We have her gumboots and an egg-collecting basket packed and I’m betting they’re going to be the most-used items in her bag. And so, now to food. 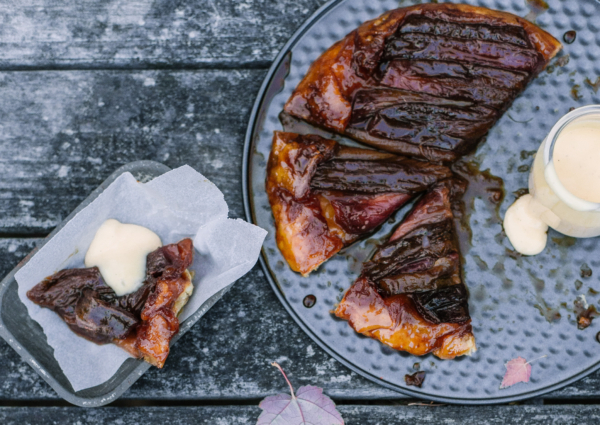 Here are a few things that will feature on our menu this weekend (quite possibly on repeat!). 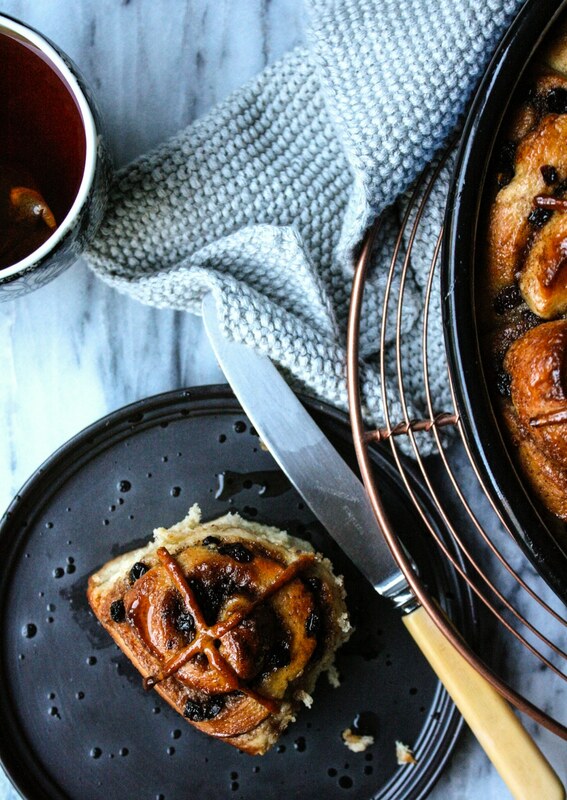 The currant and cinnamon buns are perfect for a late breakfast or lazy brunch (heck, they could even pass as dessert if you heat them up and serve with a big scoop of vanilla ice cream! 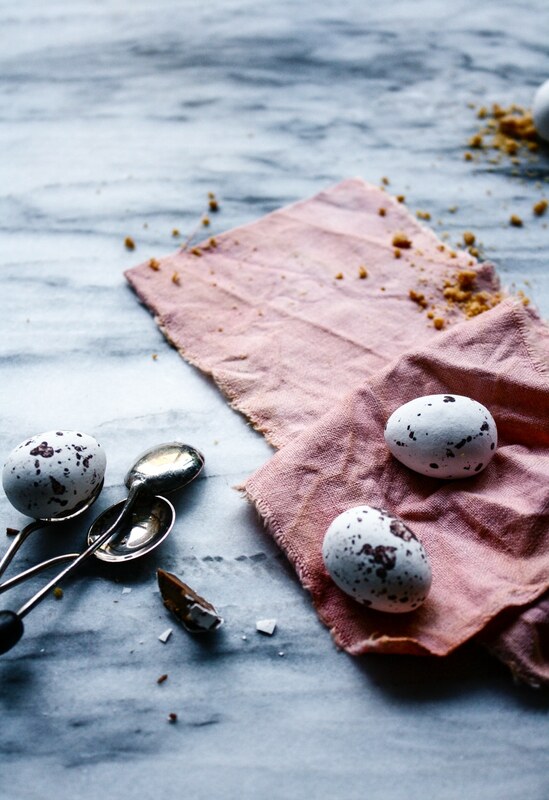 ); if you need something light to tie you over until dinner, look no further than the carrot, feta and cumin rolls; and if a little chocolate fix is in order, these little chocolate pots with malted milk crumb are ridiculously easy to make and deliver maximum eating pleasure. So here’s to Easter holidays, family, food and cool weather I say. 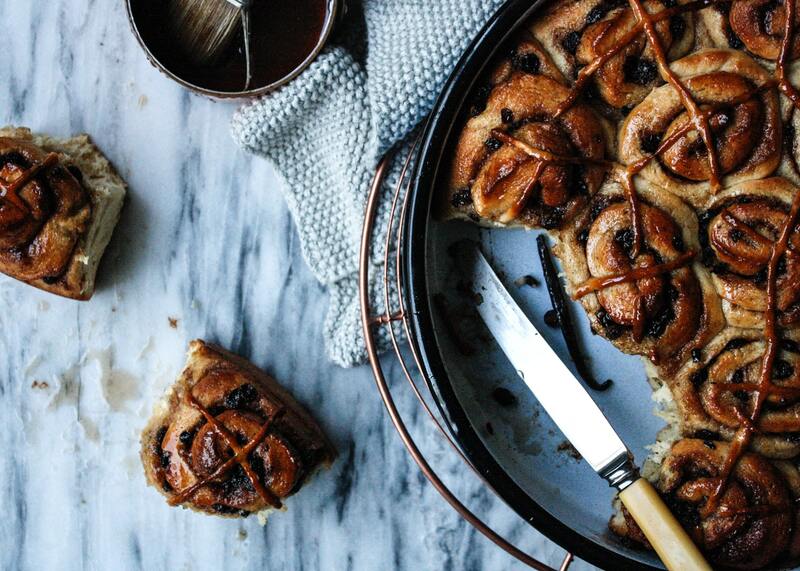 A cross between a classic hot cross bun and a Swedish cinnamon bun, these are my new favourite breakfast food. Place milk and vanilla bean in a small saucepan and heat until almost simmering. Turn off heat, stir in sugar and allow to cool and the vanilla to infuse. Once the milk is lukewarm, stir in the yeast and leave for 10 minutes or so until the mixture is foamy. Add 2 cups of flour, cinnamon, cardamom and salt to a large mixing bowl and whisk to combine. Make a well in the centre and pour in yeast mixture along with the melted butter and egg. Mix with a wooden spoon until roughly combined before adding remaining 2 cups of flour, ½ a cup at a time until dough comes together (you may not need all the flour). Kneed lightly until dough is smooth and shiny. Lightly grease the mixing bowl with extra butter before placing the dough back inside and covering to prove. Leave the dough somewhere warm for an hour or so or until roughly doubled in size. Whilst the dough is proving, soak the currants 1 cup of hot earl grey tea for ½ hour or so, until they are nice and plump. Strain the currants, reserving the tea to use in the glaze. When the dough has proved, remove from the bowl and place on a lightly floured surface. Stretch it out with your hands to form a rectangle roughly 40cm x 30cm. Spread the dough with softened butter and sprinkle evenly with combined sugar and cinnamon and scatter with currants. With the long side facing you, roll the dough up to form a 40cm long cylinder. Using a sharp knife, cut roll into 16 pieces and place snuggly together in a greased baking dish. Cover loosely with plastic wrap and allow to rise again until puffed and light. Preheat oven to 190°C. To make crosses, combine 2 heaped tbsp of self raising flour with 2 tbsp of water and mix to form a sticky paste. Use a piping bag (or zip lock bag) to pipe thin crosses on buns. Bake buns for 20-25 minutes until golden brown and cooked through. 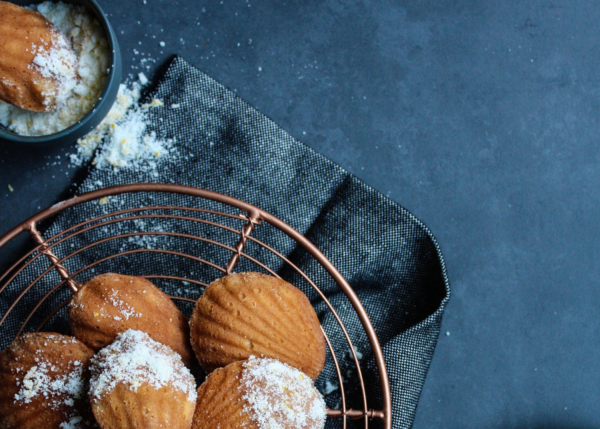 Whilst buns are cooking, make the glaze by mixing gelatine, ½ cup of the reserved earl grey tea, caster sugar and cinnamon in a small saucepan. Simmer over low heat for 10 minutes before brushing over warm buns. Buns are best eaten warm from the oven, with a big cup of tea (but are still good a day or two later, especially when warmed up and spread with extra butter!). 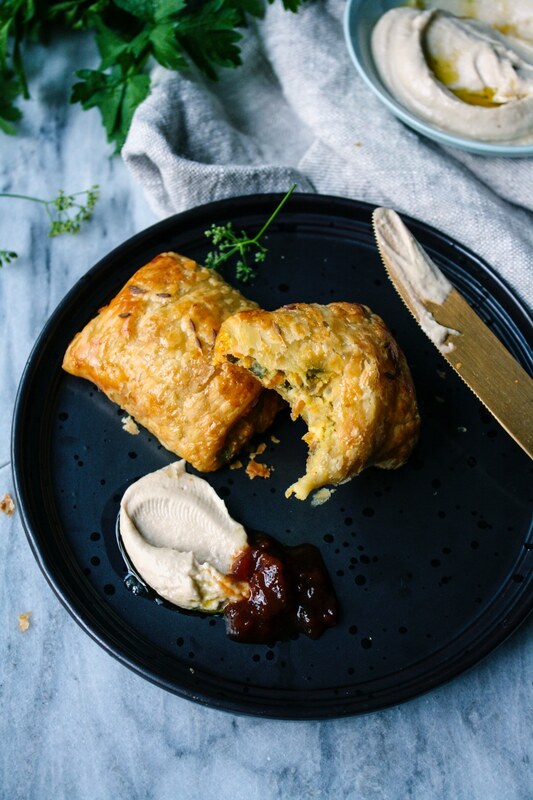 A vegetarian version of a sausage roll, these are the perfect treat to leave out for the hardworking Easter bunny, or failing that – make a delicious light lunch or pre-dinner snack. Place oil in a saucepan over medium heat. Add lentils and cumin seeds and fry for a minute or so until lightly toasted. Add diced onion and cook for a few minutes until the onion is just softened, but not browned. Pour in vegetable stock, bring to a simmer and cook covered for 10 minutes or until stock is absorbed and lentils are soft and just starting to collapse. 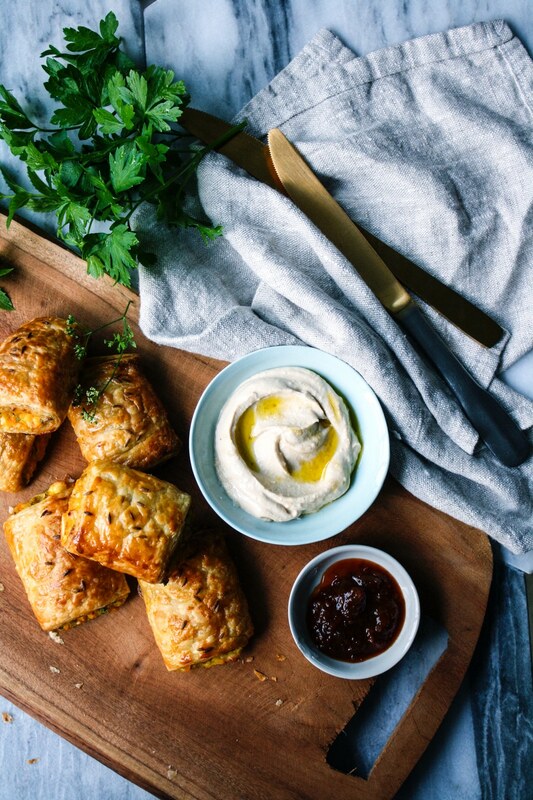 Preheat oven to 200°C and if using frozen puff pastry, take it out of the freezer to thaw at room temperature. Add grated carrot, fetta, chopped mint, parsley, breadcrumbs and one egg to the lentils, mixing well to combine. The mixture will be quite soft, but if it looks too loose, add another ¼ cup breadcrumbs. Cut each pastry sheet in half, so you have 6 rectangles. Lightly beat remaining egg in a small bowl. Roughly divide carrot mixture into 6 portions, placing one portion longways down the centre of each rectangle. Brush long sides of pastry with beaten egg and roll up to enclose filling. Place rolls on a lined tray, seam side down and place in the freezer for 10-15 minutes to firm up. Slice each roll into 4 and place on a lined baking tray. Brush rolls with egg wash, sprinkle with extra cumin seeds and bake for 25–30 minutes or until pastry is golden brown and puffed. 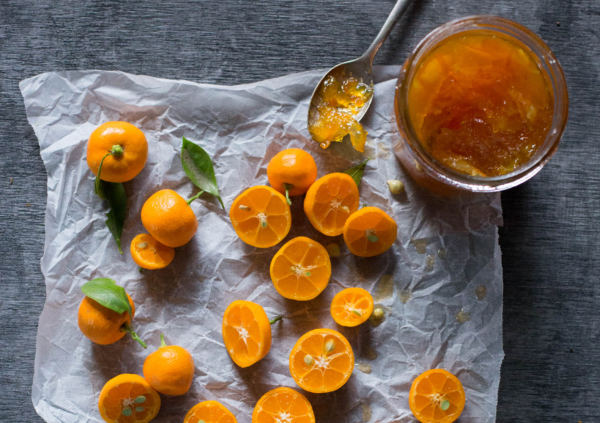 Serve warm with tomato relish or hommous (or both!). 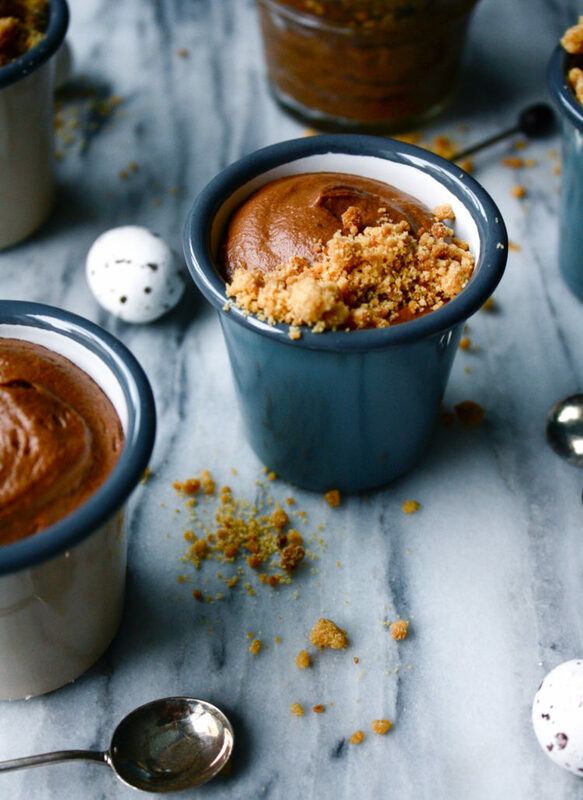 Super easy and super delicious, this cheat’s chocolate mousse is my type of chocolate fix. Roughly chop dark and milk chocolate and place together in a bowl over a saucepan of simmering water to melt gently. Once the chocolate has melted remove from the heat and allow to cool slightly. 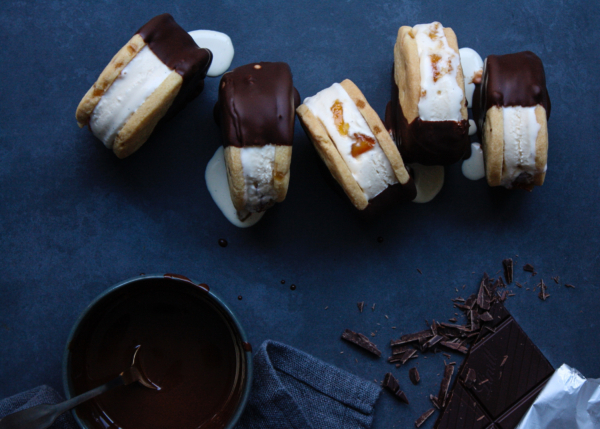 Whilst the chocolate is cooling, whip the cream and vanilla together to form soft peaks. Stir ¼ of the whipped cream into the melted chocolate to loosen the mixture slightly before gently folding in the remaining cream. Divide the chocolate cream evenly among 6 little serving pots or espresso cups, using a piping bag if the cups are too tricky to fill with a spoon. Place the chocolate pots in the fridge to firm up slightly whilst you make the malted milk crumb. Preheat oven to 180°C. Place shortbread biscuits and 2 tbsp of malted milk powder into a small food processor and whiz to coarse crumbs (alternatively, place in a snap-lock bag and give them a few whacks with a rolling pin!). Stir through melted butter. 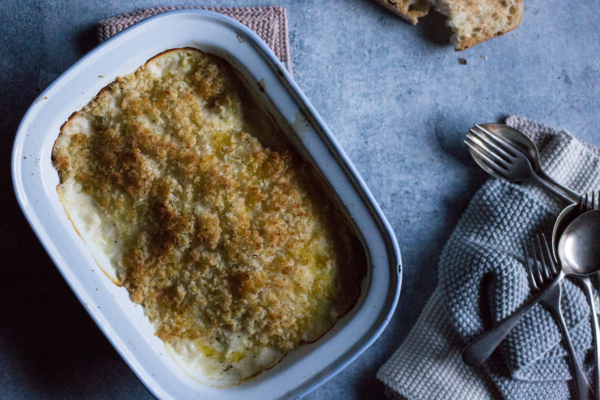 Pour into a small lined baking tray, separating the mixture into a thin layer and bake in preheated oven for 5 minutes, or until golden and toasty. Allow to cool before breaking into coarse crumbs and mixing with the remaining 2 tbsp of malted milk powder. 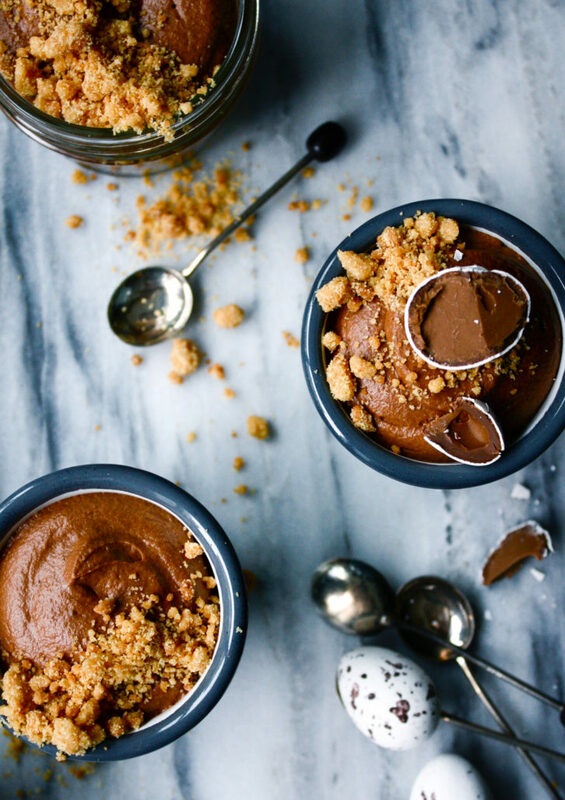 Serve chocolate pots with a generous sprinkle of malted milk crumb, straight from the fridge, or at room temperature for a silkier, more mousse-like texture.